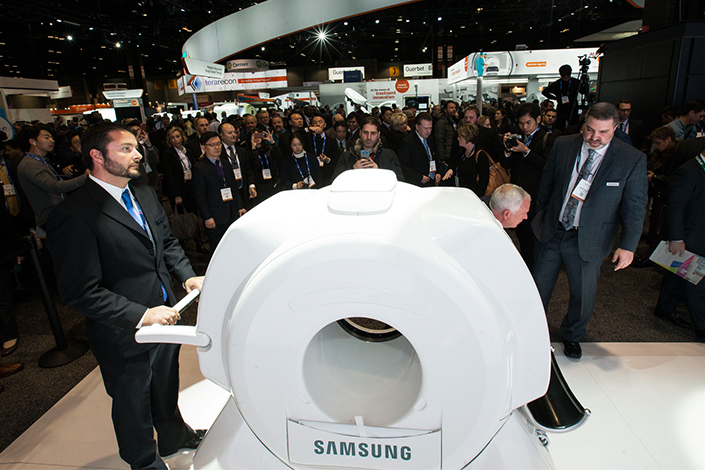 Samsung Electronics, a leader in medical imaging technology, will debut its OmniTom® mobile 16-slice computed tomography (CT) scanner at the Radiological Society of North America (RSNA) 2017 Annual Meeting at McCormick Place in Chicago. OmniTom® received 510(k) FDA clearance for the U.S. market on August 18 of this year, and attendees will get to see it for the first time at RSNA booth #2543 (South Building, Hall A). Improved workflow: OmniTom® is the world’s first mobile imaging device with omni-directional wheels, maximizing mobility and allowing easier and quieter movement in small spaces. OmniTom® is ideal for cranial procedures and is designed to deliver the highest quality non-contrast CT, CT angiography and CT perfusion scans. The combination of its rapid scan time, ultra-small footprint and immediate image viewing makes OmniTom® an indispensable tool for collecting real-time data on critically ill patients. Samsung NeuroLogica, the healthcare subsidiary of Samsung Electronics Co., Ltd., develops, manufactures and markets innovative imaging technologies, and is committed to delivering fast, easy and accurate diagnostic solutions to healthcare providers. Samsung NeuroLogica, the global corporate headquarters and manufacturer of Samsung computed tomography, is also the US headquarters for sales, marketing and distribution of all Samsung digital radiography and ultrasound systems. Samsung NeuroLogica’s growing portfolio of advanced medical technologies are used worldwide in leading healthcare institutions helping providers enhance patient care, improve patient satisfaction, and increase workflow efficiency. 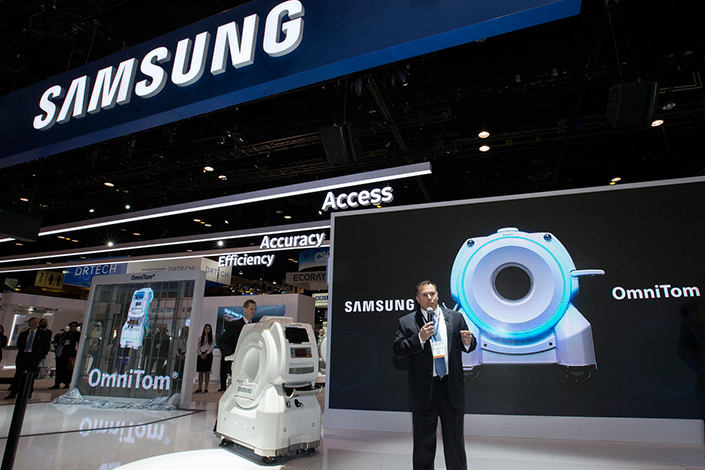 Samsung is committed to being leaders in the field of healthcare imaging. For more information, please visit www.SamsungNeuroLogica.com.